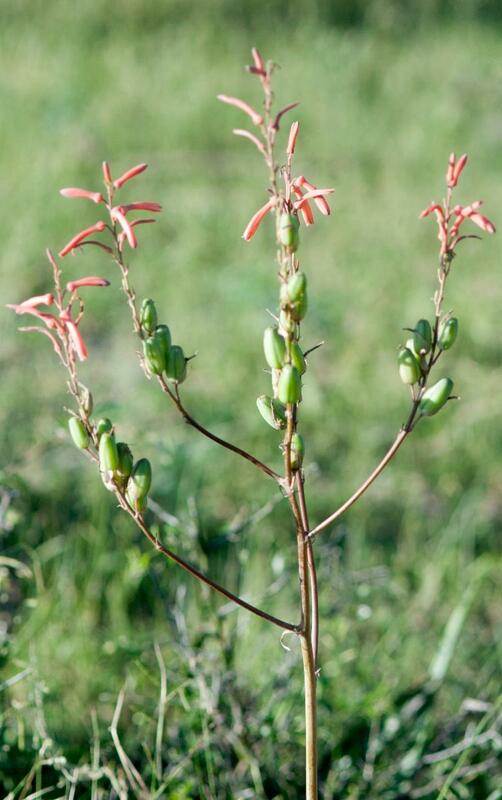 This genus is accepted, and its native range is Tropical & S. Africa, Madagascar, Jordan to Arabian Peninsula. Flowers pedicellate, erect in bud, pendent at anthesis, or secund. Perianth of 3 outer and the 3 inner free or partially fused subequal segments, cylindrical, rarely campanulate, rounded at the base or tapering into the pedicel, sometimes constricted above the ovary, often trigonous, sometimes slightly curved, rarely 2-lipped; segments free towards the apex, imbricate, the outer usually slightly longer than the inner. 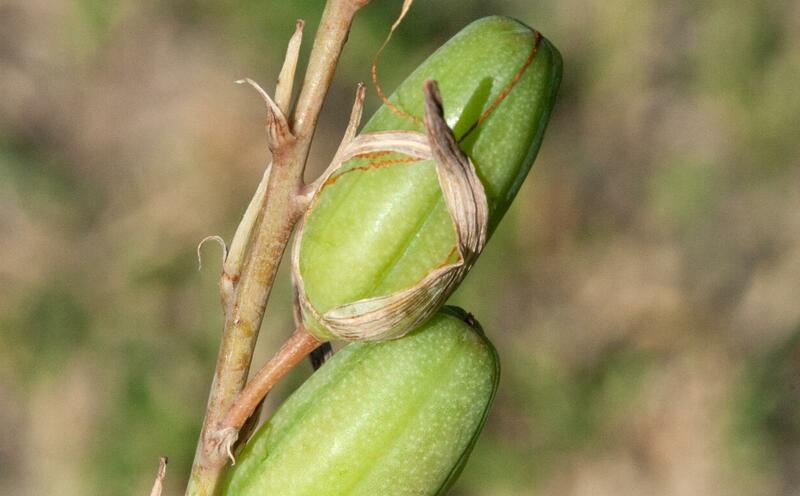 Stamens with flattened filaments; anthers oblong, attached towards the base, exserted from the perianth-tube. Ovary ovate-oblong, trigonous, 3-locular, placentation central; style slender, longer than the stamens; stigma capitate, very small. 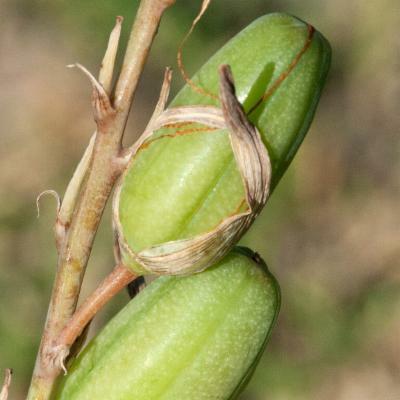 Capsule held erect, sometimes stipitate, very obtusely 3-angled, subglobose to oblong, papyraceous or slightly woody, dehiscing from the apex. 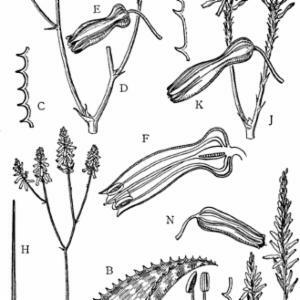 Seeds many, in 2 longitudinal rows in each locule, 3-angled, sometimes obscurely so, the angles extended into papery wings with 2 wings distinctly longer than the third. Perennial, acaulescent or caulescent herbs, shrubs or trees, solitary (not forming basal offshoots) or suckering (forming basal offshoots) to produce dense clumps or loose groups of plants. Leaves crowded spirally into rosettes, occasionally distichous especially in young plants, usually noticeably succulent, with colourless or often yellow, brown or purple, sometimes pungent and then sometimes poisonous sap; lamina linear, lanceolate or deltoid; base sheathing; apex usually spine-tipped; margin with spine-tipped teeth, or sometimes cartilaginous or ciliate, rarely entire; surface glabrous, smooth or roughened, sometimes the lower or both surfaces spiny, uniformly green, or often white-spotted, sometimes striated. 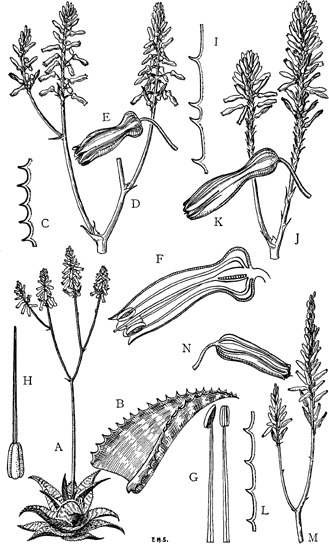 Inflorescence pedunculate with flowers lax to compact in 1–several terminal and axillary, simple or paniculately arranged racemes; inflorescence stalk (peduncle) stout, flattened at the base, with branches, when present, usually from ± the middle and above, naked or with sterile bracts below the racemes; racemes capitate to long-cylindrical; bracts scarious, rarely leaf-like. Perennial herbs, with fleshy roots from an underground “bulb” formed by the expanded bases of spirally arranged leaves. 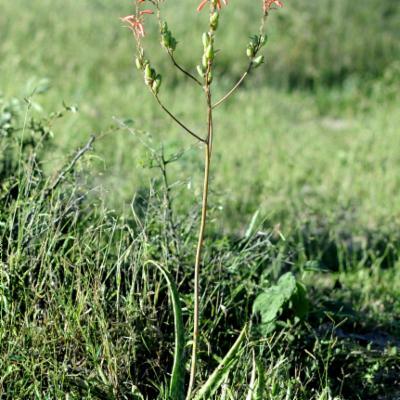 Leaves linear and grass-like, fleshy, becoming jointed shortly above the base, the upper part deciduous; margins with minute cartilaginous teeth. 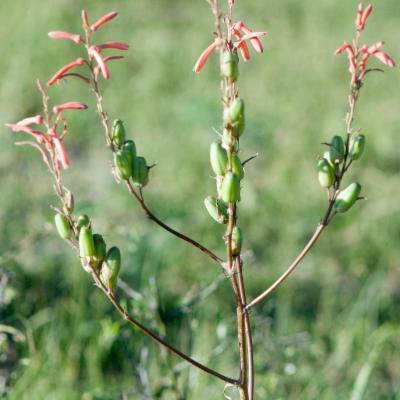 Inflorescence pedunculate, simple, erect, with flowers in a lax raceme; peduncle with numerous sterile bracts below the raceme; bracts membranous, ovate-acuminate; pedicels short. Perianth segments subequal, fused in the lower part and variously cohering to form an oblong-cylindrical tube; perianth limb 2-lipped, tips of the upper 3 segments straight, tips of the lower 3 segments usually slightly recurved. Stamens and stigma shorter than the tube. 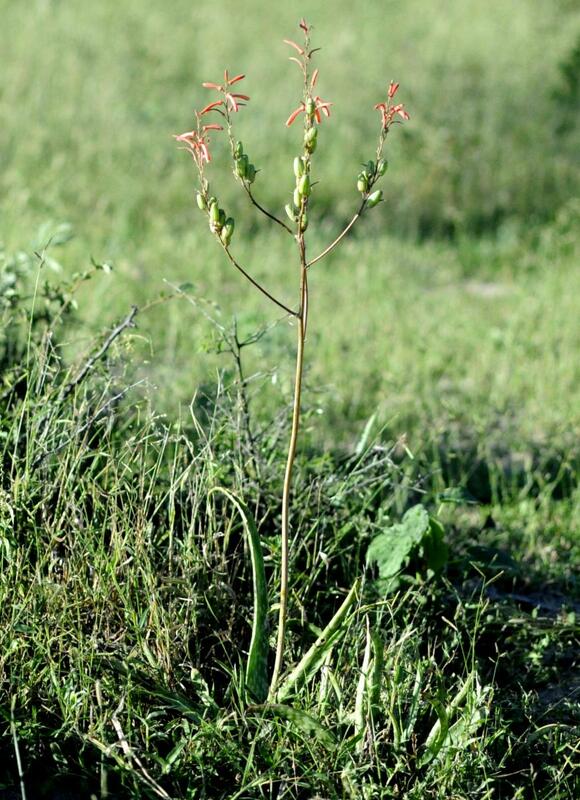 The style gradually merging into the ovary; stigma capitate. Seeds with angles narrowly winged. Algeria, Argentina Northeast, Arizona, Aruba, Ascension, Assam, Bahamas, Baleares, Bangladesh, Bermuda, Bolivia, California, Canary Is., Cape Verde, Caroline Is., Cayman Is., China South-Central, Cook Is., Corse, Costa Rica, Cuba, Cyprus, Dominican Republic, East Aegean Is., Ecuador, El Salvador, Florida, France, Galápagos, Greece, Guatemala, Gulf of Guinea Is., Gulf States, Haiti, Hawaii, Honduras, India, Italy, Jamaica, Juan Fernández Is., Korea, Kriti, Leeward Is., Libya, Madeira, Marshall Is., Mexico Central, Mexico Gulf, Mexico Northeast, Mexico Northwest, Mexico Southeast, Mexico Southwest, Morocco, Nepal, Netherlands Antilles, New South Wales, New Zealand North, New Zealand South, Nicaragua, Norfolk Is., Pakistan, Peru, Portugal, Puerto Rico, Queensland, Sicilia, South Australia, Spain, Sri Lanka, St.Helena, Texas, Thailand, Trinidad-Tobago, Tunisia, Turkey, Turks-Caicos Is., Venezuela, Venezuelan Antilles, Windward Is. Aloe armatissima Lavranos & Collen. Aloe babatiensis Christian & I.Verd. 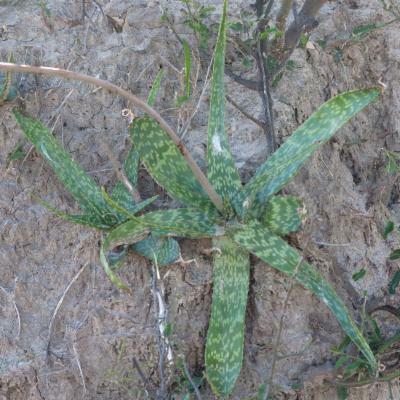 Aloe bowiea Schult. & Schult.f. 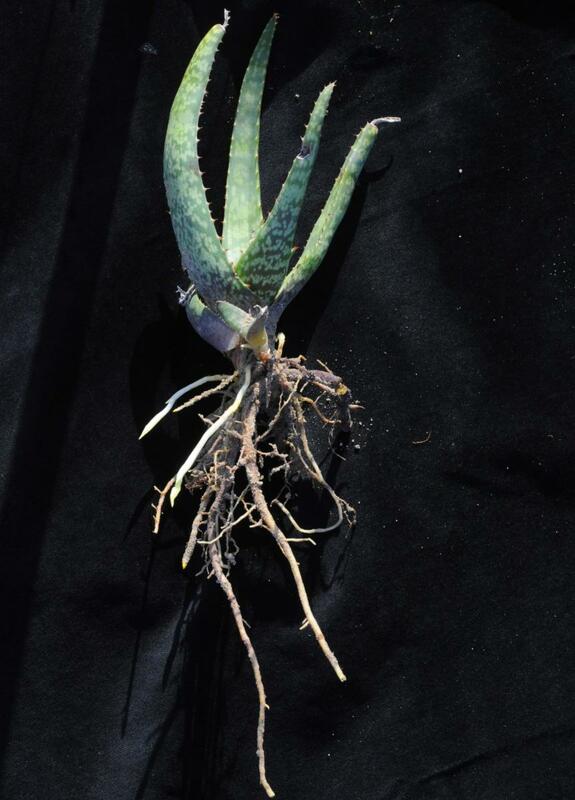 Aloe brunneodentata Lavranos & Collen. 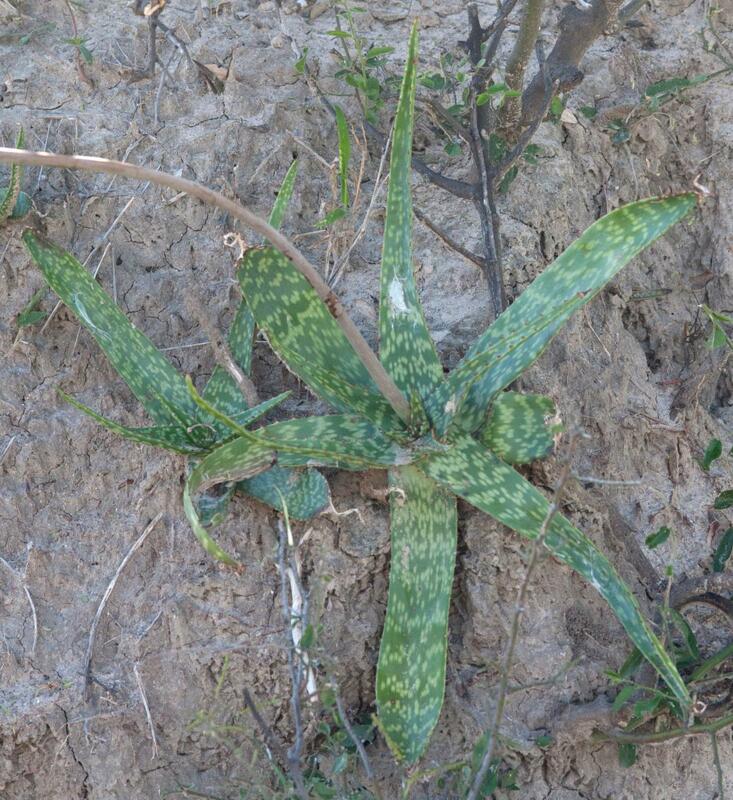 Aloe gautieri J.-P.Castillon & Nusb. 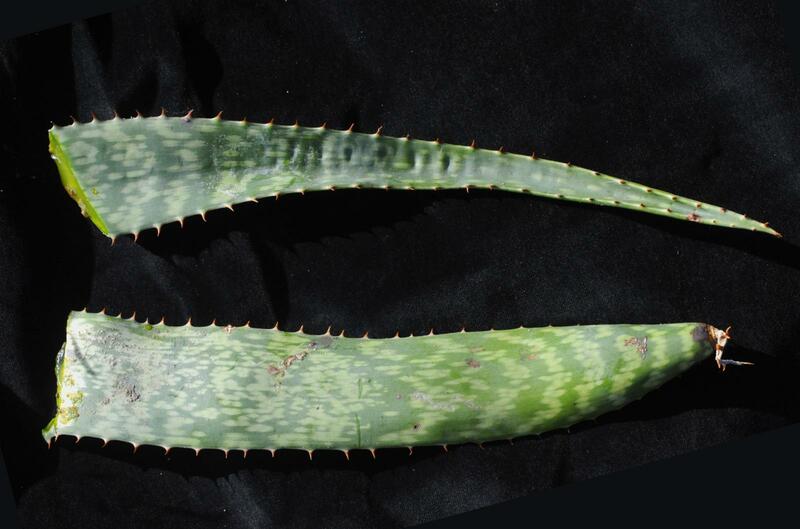 Aloe × inopinata Gideon, F.Sm., N.R.Crouch & Oosth. Aloe jeppeae Klopper & Gideon F.Sm. 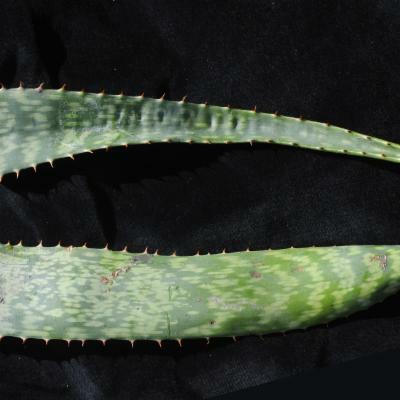 Aloe × menachensis (Schweinf.) Blatt. 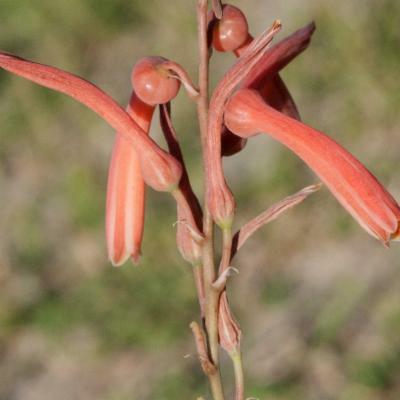 Aloe myriacantha (Haw.) Schult. & Schult.f. Aloe neilcrouchii Klopper & Gideon F.Sm. Aloe ortholopha Christian & Milne-Red. 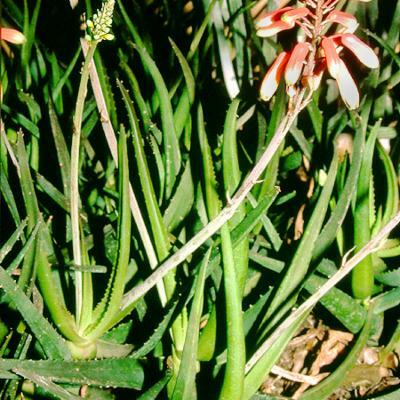 Aloe parvicapsula Lavranos & Collen. Aloe peckii P.R.O.Bally & I.Verd. Aloe porphyrostachys Lavranos & Collen. 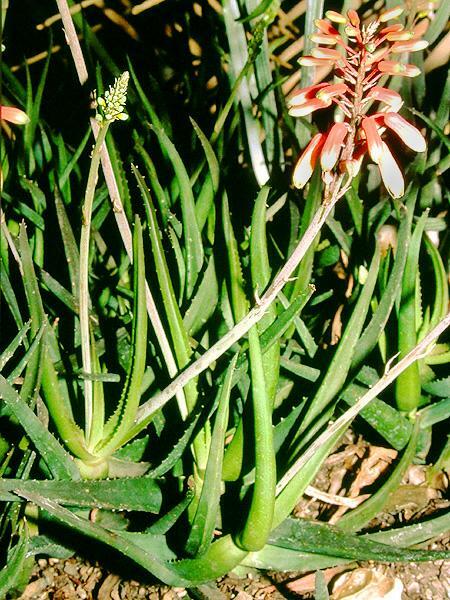 Aloe pseudorubroviolacea Lavranos & Collen. Aloe shadensis Lavranos & Collen. 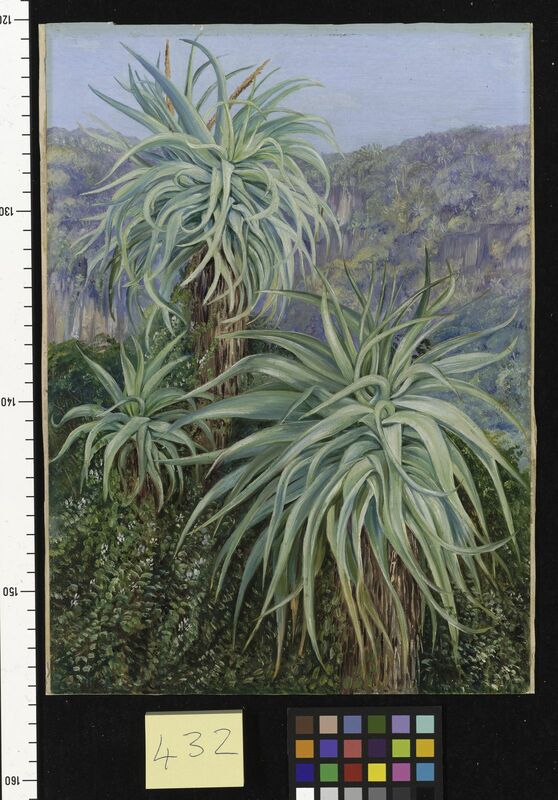 Aloe sharoniae N.R.Crouch & Gideon F.Sm. Aloe vaombe Decorse & Poiss. Aloe welwitschii Klopper & Gideon F.Sm. Aloe woodii Lavranos & Collen. Klopper, R.R., Matos, S. Figueiredo, E. & Smith, G.F. (2009). 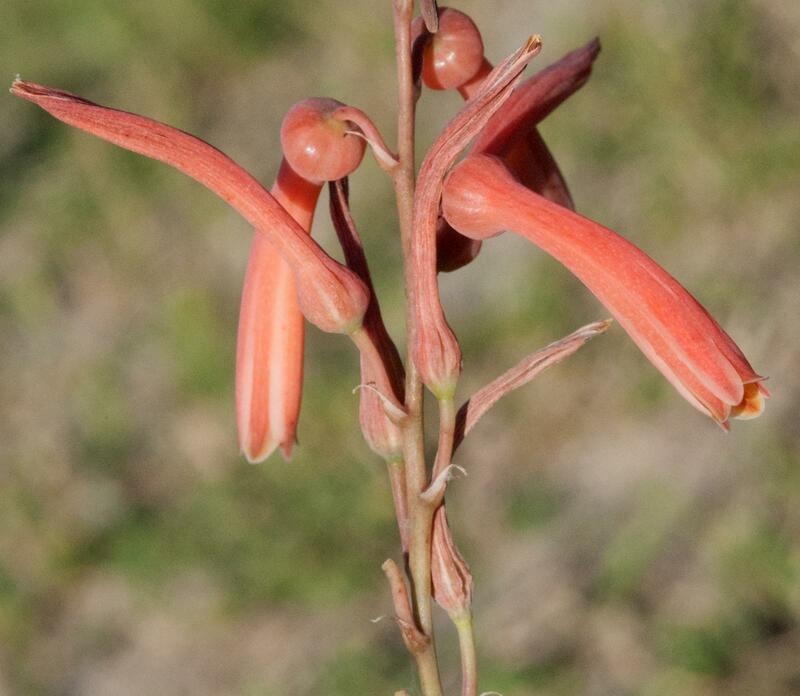 Aloe in Angola (Asphodelaceae: Alooideae) Bothalia 39: 19-35. Keay in Kew Bull. 17: 65 (1963). Glen & Hardy in Fl. South. Africa 5, 1 (1): 1 (2000). Carter in F.T.E.A., Aloaceae (1994). Court, Succ. Fl. South. Africa: 116 (1981). Sölch et al. in Merxmüller, Prodr. Fl. SW. Afrika, fam. 147: 10 (1970). 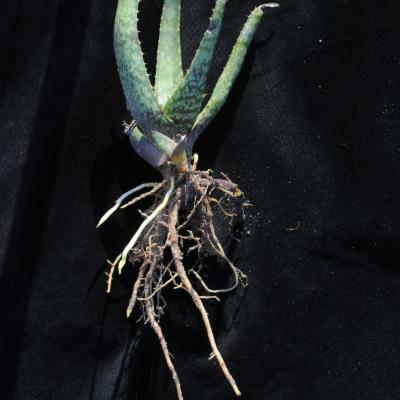 Aloes Trop. Africa & Madagascar (1966). Berger in Engler, Pflanzenr. IV, fam. No. 38, III, II (Heft 33): 159 (1908). in F.T.A. 7: 454 (1898). Sp. Pl. 1: 319 (1753).